My name is Chelsea Lee Smith and I am an imperfect – though striving to be better – parent of three children. I am also a certified Positive Discipline Parent Educator. Have you ever wondered why parents don’t get job training? In my opinion, they should! Parenting is challenging, no matter what background you come from. We all have a different set of experiences and expectations when we come into parenthood, and we are all given unique children who will surprise us in many ways throughout our relationships with them. 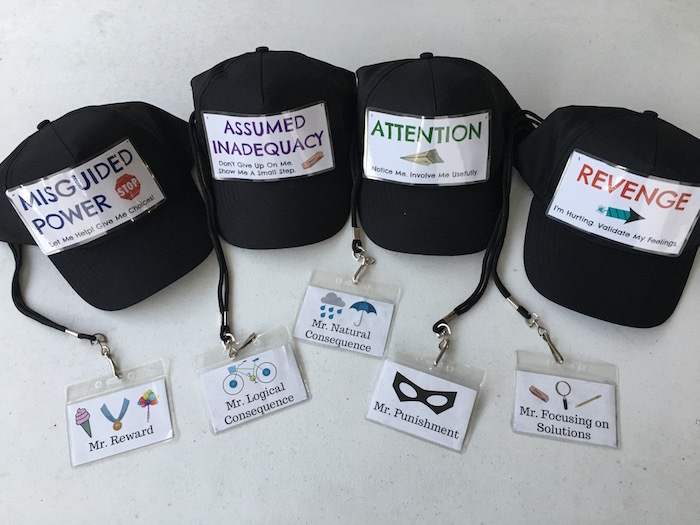 Why does taking on the job of “parent” not require newbies to learn about the importance of building connected relationships within the family so that children can develop positive relationships throughout their lives? Why aren’t parents encouraged to read about the brain structure of children so we don’t hold unreasonable expectations of them? Why aren’t parents offered tools to help children manage their emotions, develop resilience, and learn problem-solving skills? 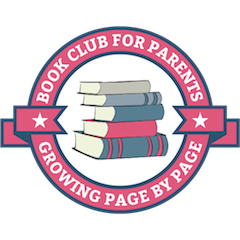 This post is about what Positive Discipline parenting classes are about, and why I think it’s a good idea for all parents to consider taking one. 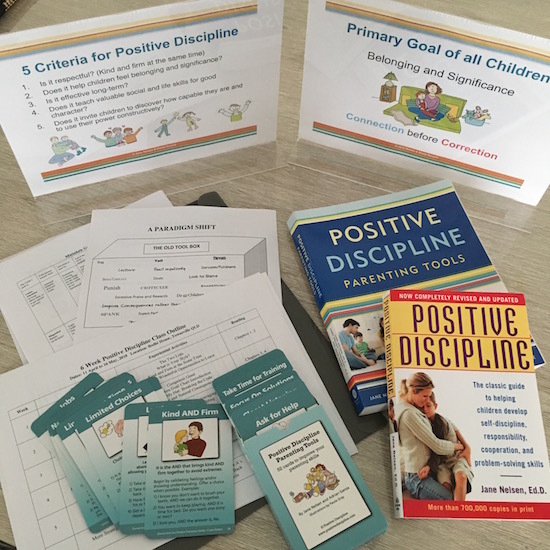 Positive Discipline is a theory, set of books, and a program developed by Dr. Jane Nelsen, based on the work of psychologists Alfred Adler and Rudolf Dreikurs. It is designed to help parents teach young people to become responsible members of their communities and develop important social and life skills in a manner based on mutual respect, connection, and resilience. You can read more about the Positive Discipline theory on this page. The classes generally run for 6 or 7 weeks, or over a two day weekend. They are hands-on and experiential, meaning that you will get to see the techniques in action, have a chance to experience the theories through role-play, and be given an opportunity break down specific challenges you are facing at home as well. 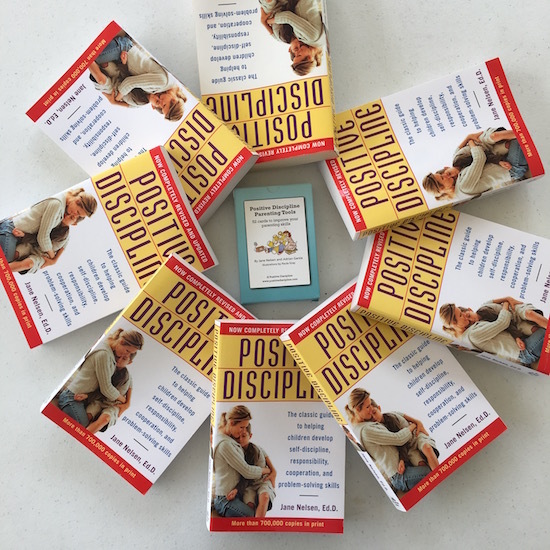 Positive Discipline classes are for all parents. Sometimes classes might be geared towards a certain range of parents (ie parents of preschoolers, parents of teens, etc) so that the participants in the class can discuss relevant issues to their specific children, but the Positive Discipline tools work across all ages and stages of childhood and parenthood. Positive Discipline is also useful for teachers. In fact, there is even a specific program developed specifically for educators. Contact me for more details about those. Why should parents take a class? There are a lot of reasons why parents might want to take parenting classes. They might want to find out if what they are experiencing at home with their children is “normal.” They might want to get tools to add to their parenting toolbox. They might want to learn how to relate to or communicate with their children. And the list goes on. However, no matter how many reasons there are to take a class, there are sometimes as many or more excuses as to why parents don’t (or “can’t”). Childcare is often one completely legitimate reason. Paying for someone to watch your children while you attend a class can be expensive. There are sometimes creative options that can help you work around the childcare challenge, though. If you don’t have family around, for example, what about trading childcare with a friend who also wants to take the class. So you watch all the children during the duration of one class, and then they watch all the children during the duration of the next. That way you can both participate. Another reason is the cost of the class itself. Now I know that everyone’s financial situation is unique, so this is a hard one to address without knowing specific situations. In my opinion, however, taking a class is a worthy investment especially if you see it as helping you and your children avoid more serious difficulties later on. If you feel that a class would help you be a better parent to your child, it may be worth figuring out how to fit a parenting class in the budget. If you are unable to afford a class but extremely committed to taking the class, please contact me to discuss scholarship opportunities. 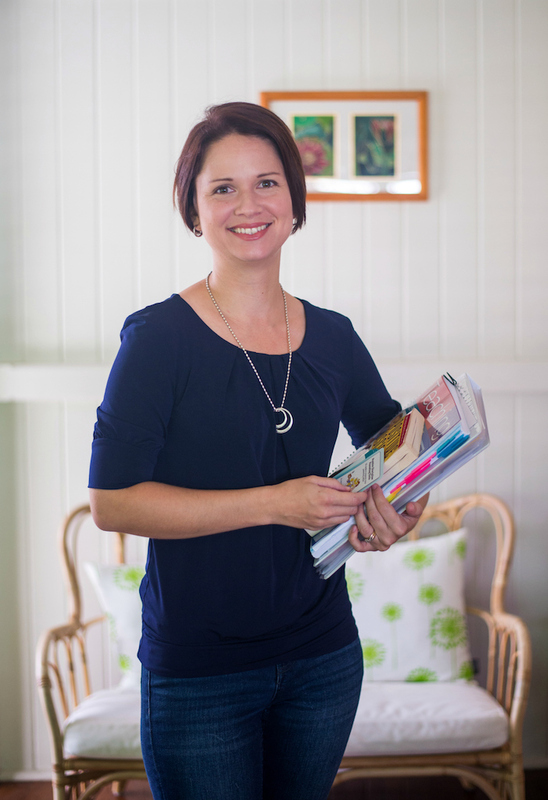 If you live in Townsville, Queensland, Australia, I would love to hear from you and invite you to an upcoming class! Contact me or sign up for my local newsletter to find out about my upcoming classes. If you don’t live in my part of the world, then check out this list of certified Positive Discipline parent educators to find an educator near you. If you can’t find anyone in your locality, contact your closest educator and ask if they may be willing to travel and offer a weekend class! Wondering why you shouldn’t just take a class online? This looks fantastic! Parenting truly may be the hardest (albeit most rewarding) job on the planet and it absolutely comes with the steepest learning curve. You can read all the books ahead of time, but once that little human arrives everything changes and tools for what to do after they pass the infant phase don’t seem as readily available. Great concept. I’m a first time mom so I don’t have many ideas or knowledge about parenting. They say that it’s an everyday learning experience but you can do something to gain more. You can attend parenting classes or even buy books.It is indeed, we should educate ourselves on how to properly discipline our children in a positive way. Thank you, Chelsea, for sharing this rather interesting post. Whether someone is a new parent or a parent to two or three children, I agree with you that parenting is challenging no matter what your background is. If I was going to be a new parent, I would want all the help I can get before the baby arrives, so I’d have the knowledge to get through any situation. As you mentioned, parents may decide to forgo parenting classes for a variety of reasons, and that is completely understandable. However, if you are serious about being a good parent and having a positive impact on your children, I think that learning everything you can regarding parenting and then implementing whatever you think is right is a good way to go. Interesting article! Thanks for sharing this!